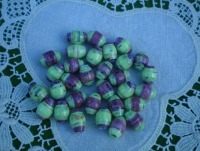 I love the earth tone color of these beads. 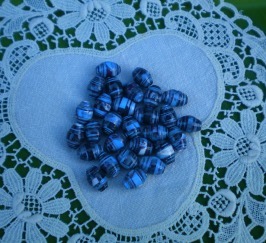 These are barrel type beads with large holes perfect for leather cords. 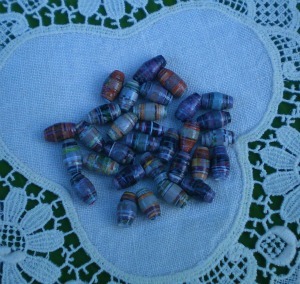 I love the print on this long tubes, they are like little paintings, don’t you think? I never thought mixing lavender and green…. 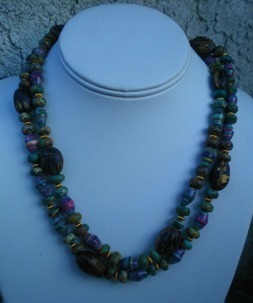 Gisela, mixed the earth tone color beads with seed beads, love the organic look! 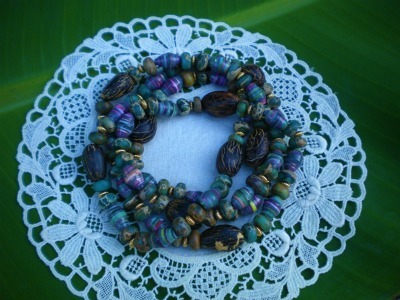 Your beads are so beautiful! You are very talented and I wish I had your skills!! 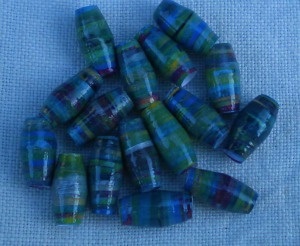 I can’t wait to see more of your bead creations! You are very talented and your work show that skill. Thanks for sharing, you are inspiring. You are quite welcome Gisela! Hoping your having a good weekend too! Thank you Deb and Manou for the lovely compliments. 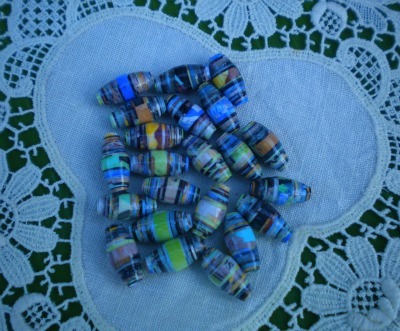 Like everone here I just love making paper beads. It gives me a real sense of satisfaction to take paper that would end up in the landfill and give it new life. I have Janice to thank for starting to add painting beads/paper to the possibilities. Until then I had never done that. Thank you all and have a good weekend. I Love this necklace that you made Gisela! 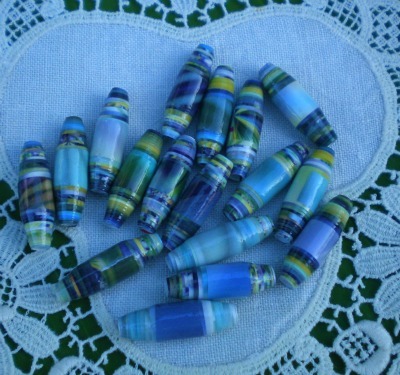 Janice is right, you have perfected the art on making paper beads! Your necklace is Beautiful!